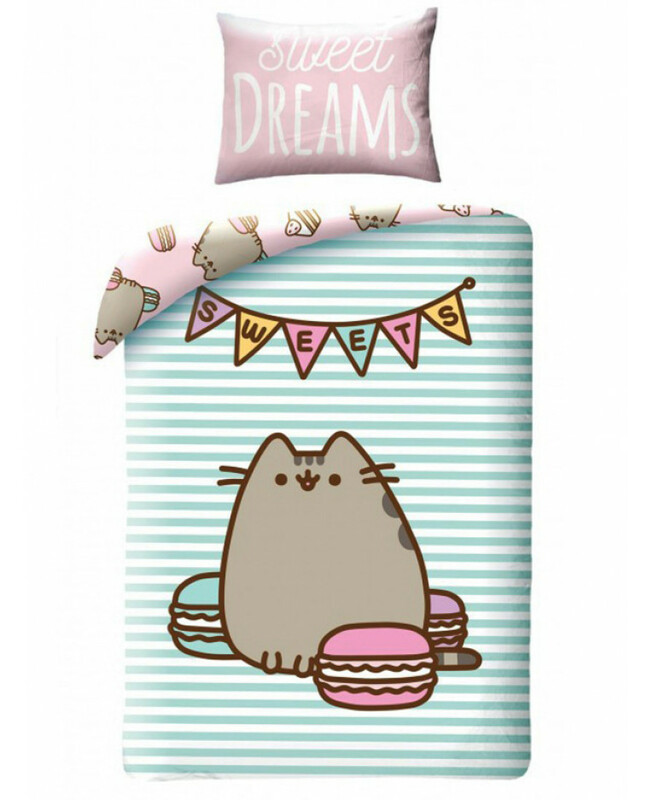 This fantastic Pusheen Sweets single duvet cover set is ideal for all fans of the loveable cartoon cat. 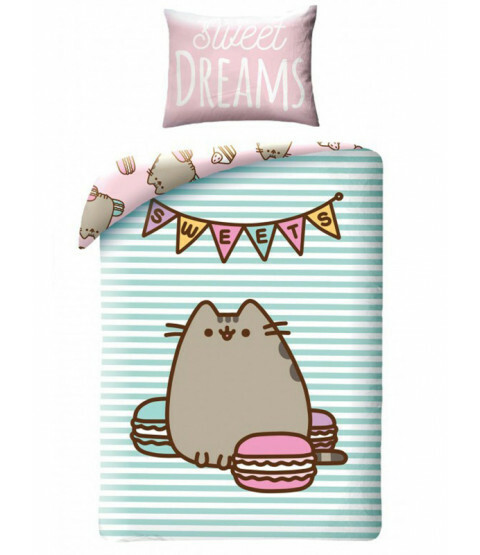 The fun design features Pusheen surrounded by sweet treats on a mint green and white striped background, whilst the reverse has Pusheen in a smaller repeat pattern with pretty pastel coloured cakes and macarons on a pink background. This bedding set is made from 100% cotton and can be machine washed and tumble dried on a cool setting.